LOCATION! LOCATION! GREAT CONVERTIBLE WITH SEP. SLEEPING AREA THAT CAN HOLD A KING BED. HDWD FLRS, LG GRANITE KITCHEN AND SLATE BATH. GREAT CLOSET SPACE, CUSTOM PAINT; W/D IN UNIT. FANTASTIC VIEWS, SPECIOUS BALCONY. FULL SERVICE BUILDING, GYM BY TERRACE. STEPS TO DOWNTOWN, MICHIGAN AVE, TRANSPORTATION & SHOPPING. HOA INCL HEAT, AC, and CABLE. STORAGE LOCKER INCLUDED. Deeded Parking additional. 600 N Dearborn Street #1407 Chicago, Illinois 60610 is a condo property, which sold for $215,000. 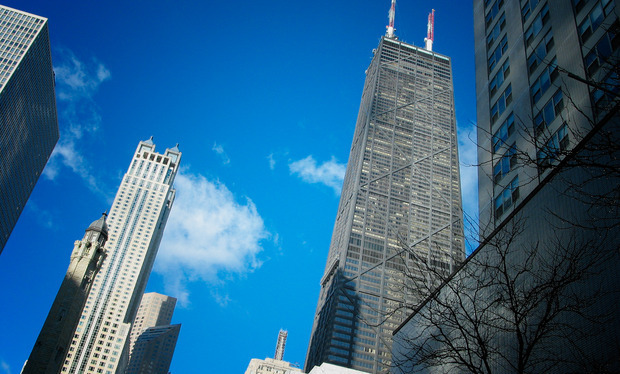 Want to learn more about 600 N Dearborn Street #1407 Chicago, Illinois 60610? Contact an @properties agent to request more info.